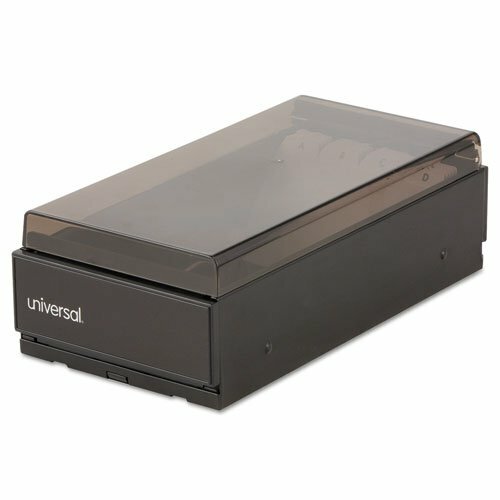 Hinged lid opens easily and front panel tilts forward for easy access to entire card file. Features a generous capacity to manage a multitude of contact cards. Attractive yet durable metal file with smoke-color plastic top. Includes 20 a-z guides to keep contacts organized. Hinged lid opens easily and front panel tilts forward for Easy access. Attractive metal file with smoke-color plastic top.